Perhaps you are so familiar when heard a motorcycle that has an engine with V-configuration, Inline or Boxer. Well, like the famous Harley Davidson with the V-twin engine. Then the Japanese manufacturer usually make motorcycles that on average applying the engine configured of 2 or 4 inline cylinders. Meanwhile, a very famous boxer engine when applied to the BMW R1200GS. Are those machines mentioned above were quite sensational? 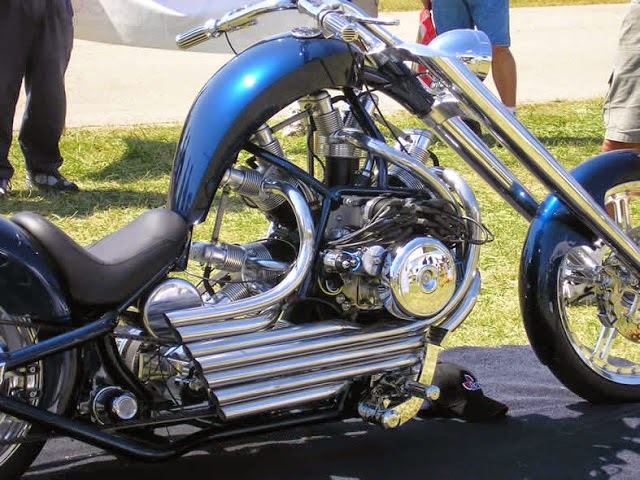 It turns out there are motorcycles with engine configuration which is more extreme and very sensational, namely a motorcycle that used a radial engine. 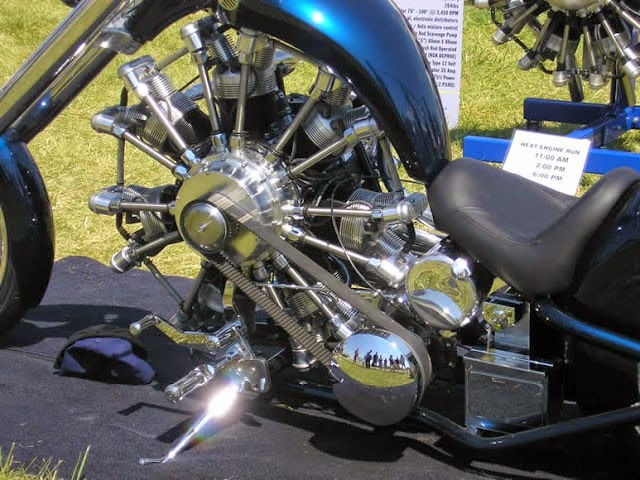 Look at the Custom JRL Cycles 'Radial Chopper' above, its engine has 7 pieces radial configuration of cylinders. Usually radial configuration engine used by the old aircrafts, but if applied on motorcycles will make the machine looks very exotic and as well as the motorcycle appearance will stunned everyone at the first sight. The applications of radial engine on a motorcycle is usually used the Rotec Engineering's R2800 or R3600 engine. Meticulous workmanship down to the detail, making a form of motorcycle to be so beautiful. For example, if we used R2800 and the composition of seven pieces exhaust pipes can be seen very neat and charming. However, don't be suprised when the engine is turned on, a boomed sound will coming out of its muffler muzzles. 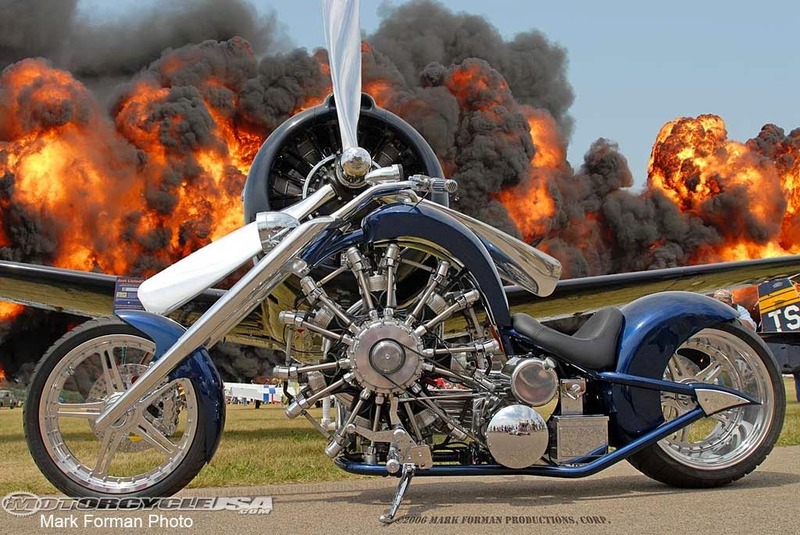 Because R2800 radial engine has a capacity of approximately 2,800 cc and can spewed of power up to 110 hp. While R3600 has 9 cylinders and capacity of approximately 3,600 cc and can spewed of power up to 150 hp. Mostly the radial engined motorcycle may not be designed to pursue a super performance like hyperbike, but the beauty of appearance is a point of interest.